Modern Freemasonry is changing. A new member today is brought into a fraternity much different than their fathers and grandfathers fraternity. Changing demographics and declining membership numbers have brought on many short cuts to membership and advancement in the Lodge. Designed to boost membership, combat a declining older generation, and fit better in the modern man's life, one day classes and easing of membership have opened the flood gates to Freemasonry. Thousands of men have been made Freemasons in one day classes over the past decade. Countless others have become Freemasons in a more relaxed lodge than existed just a few years ago. While some of these men go on to do great things in Freemasonry, the sad reality remains, many men joining today do little more than get a card in their wallet. Any Freemason, be he a card carrier, officer, Past Master, or otherwise regular member has a part to play in our Fraternity. Some men take the long way; some men take the short cuts. Regardless of how you were given the tools of Freemasonry, it is up to the individual man to earn them. 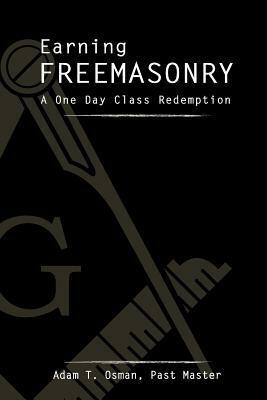 This books details one man's journey from citizen to Freemason in a one-day-class. Through firsthand experience, observation, and opinion, the author explains the pit falls and trials that go along with the easing of the order and offers insight on how we may be able to correct our missteps. From the new Mason to the Past Master, this book is designed to help any member earn Freemasonry and start enjoying the true benefits of the Craft.